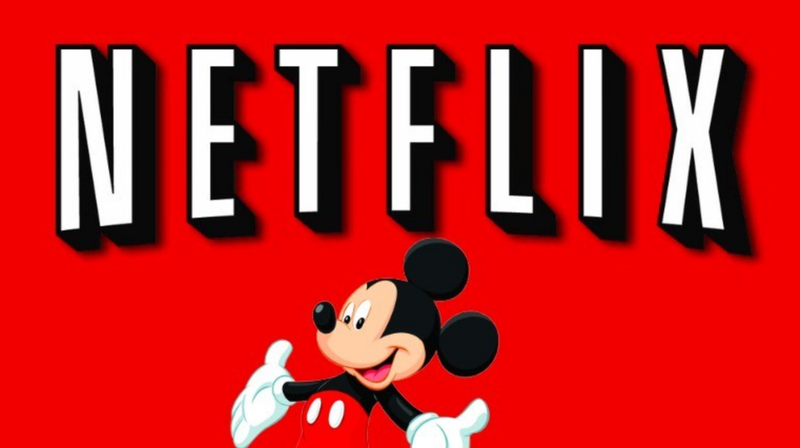 Disney on Tuesday said it will be pulling its movies from Netflix and will launch a Disney streaming service of its own in 2019. It also said it will launch an ESPN streaming service early next year. To help do all that, Disney will acquire a majority of BAMTech, the streaming technology company owned by MLBAM, the internet company owned by Major League Baseball. Disney already owned a stake in BAMTech but will pay $1.58 billion for an additional 42 percent. Details of the Disney streaming service were sketchy Tuesday, with CEO Bob Iger saying that if a movie is Pixar- or Disney-branded, it will probably appear exclusively on the new service — including shows and movies made specifically for the service — but the jury is still out on Marvel and Star Wars films. ESPN has been losing TV subscribers for a few years and an online stand-alone product has been predicted for months, but ending a distribution agreement with Netflix beginning with the 2019 theatrical slate caught investors off-guard and Netflix shares quickly sunk 4 percent on the news in after-hours trading. Iger called the initiatives "a strategic shift in the way we distribute our content." Deciphering Iger's vague comments Tuesday, it could mean that the upcoming Frozen 2 would be available for streaming exclusively on Disney's new service while Star Wars: Episode IX presumably would not, though they are both set for release in 2019. Star Wars and Marvel movies in the future could be on the Disney service exclusively, could not be there at all or could be there as well as on other services. Those decisions are yet to be made, but the decision to not renew with Netflix is a done deal. Disney also owns a stake in Hulu, and Disney executives said Tuesday a multiyear deal putting Mulan, Pocahontas and others on Hulu will not be affected by Disney's upcoming service. As for the upcoming ESPN service, Iger said Tuesday the company hasn't yet had conversations about it with the sports network's existing TV distributors. In the streaming product's first year of launch, the exec anticipates streaming an additional 10,000 sporting events over what's available on ESPN's TV networks. Disney made all of its streaming announcements Tuesday while reporting quarterly earnings. Shares of the conglomerate were falling 3 percent in after-hours trading after it reported quarterly revenue of $14.2 billion, about $180 million less than Wall Street expected. Profit, though, came in at $1.58 per share, three cents more than projected. Disney's biggest segment, media networks, saw revenue drop 1 percent year-over-year to $5.9 billion and operating income plunge 22 percent to $1.8 billion, with ESPN mostly to blame. Disney said ESPN's problems included higher programming costs, lower ad revenue and costs associated with severance packages for departing employees. Broadcasting, though, didn't perform much better than did cable, with the ABC television network also seeing higher programming costs and lower ad revenue. Studio entertainment saw revenue fall 16 percent to $2.4 billion and operating income fall 17 percent to $639 million, thanks in part to a decrease in home entertainment because Star Wars: The Force Awakens last year outsold Rogue One: A Star Wars Story this year. Parks and resorts seemed a bright spot, as revenue rose 12 percent to $4.9 billion and operating income grew 18 percent to $1.2 billion, with Shanghai Disney Resort and Disneyland Paris contributing to the growth. Revenue at consumer products and interactive media fell 5 percent to $1.1 billion, but operating income managed to grow 12 percent to $362 million.